The UK is contravening the law when it comes to air pollution and the authorities are now implementing a series of measures in an attempt to hit their targets, with many areas scheduled to enforce ‘Clean Air Zones’. With reducing diesel emissions a clear objective, the BMF’s Brett Amphlett discussed the issue at a recent BMF Transport & Distribution Forum. PBM reports. Air pollution is linked to the early deaths of approximately 40,000 people a year from ailments such as asthma, bronchitis, emphysema, heart disease, lung cancer and strokes. The EU Ambient Air Quality Directive 2008 sets legally-binding limits for air pollutants such as particulate matter, ozone and nitrogen dioxide that affect public health — and the UK is now playing catch-up. R&D innovation and market transformation grants. In July 2017, the Department for Environment, Food and Rural Affairs (DEFRA) published a plan to tackle roadside nitrogen dioxide concentrations, setting out the action needed on both a national and local level to reduce emissions from transport. 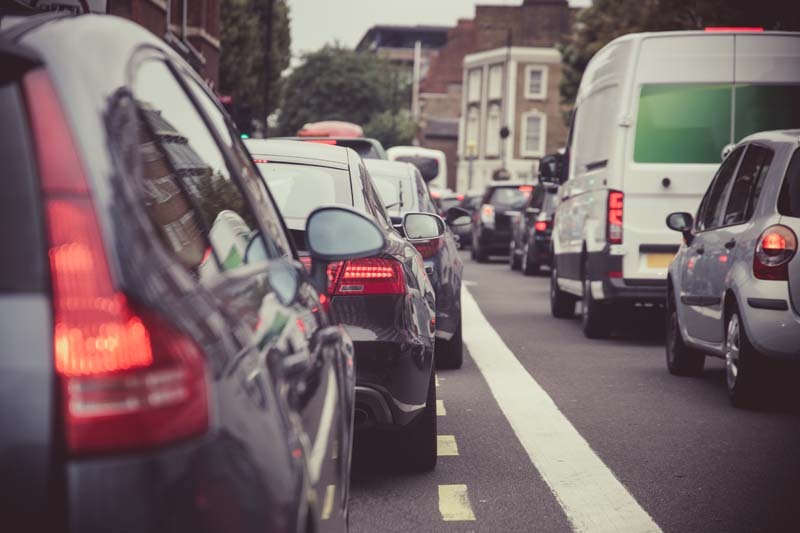 A network of ‘Clean Air Zones’ has been established as a preferred course of action, requiring diesel vehicles to meet the Euro 6 standard, with the first cities now legally obligated to implement them being Birmingham, Derby, Leeds, Nottingham and Southampton. These CAZs are due to come into effect on 1 January 2020, therefore the clock is ticking. The BMF argument is that it’s essential for central government to provide local authorities with guidance to make it easier for them to develop a local plan, implement measures efficiently and allow uniform consistency — for example, penalty charges are one potential element of the CAZs, with costs of up to £100 per day mooted. Including the aforementioned five ‘mandated cities’, the BMF is aware of 75 towns, cities and urban areas across England — it is a devolved issue — that must consider a CAZ or Low Emission Zone, or at least conduct a feasibility study and set out their preferred options within an appointed timeframe. However, Brett highlighted the particular issues relating to the CAZ in Birmingham. The proposal is for a ‘Class D’ charging CAZ, covering all roads within the A4540 Middleway Ring Road and all road users with non-compliant vehicles will be subject to daily penalty charges. For HGVs, this is £100 per day. This, he argues, highlights the problems facing towns and cities in actually addressing the base issue of improving air quality. To do so requires a holistic approach in terms of addressing overall traffic management issues to lessen pollution by helping to reduce both stop/start driving and the formation of queues. “Changes to the phasing of traffic lights, and road layouts and junctions, ought to improve traffic flow and help to lower emission levels,” argues Brett. The implicit argument being not to simply levy a charge, and penalise vehicles that have limited alternative options. As the clock runs down to the implementation of the first CAZs in a year’s time, Brett informed the delegates at the Transport & Distribution Forum that the BMF is continuing to act on behalf of its members, to both disseminate information and lobby the relevant authorities to “give us a fighting chance (to) influence and lessen any unforeseen impact, and make the case for diesel”. For more information visit www.bmf.org.uk.